I have been a high school English teacher in Israel for more than 20 years now, and I still love teaching. 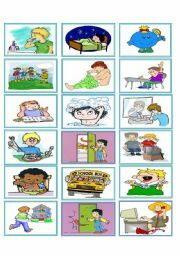 I love this website and I´m amazed at the great work English teachers are doing all over the world. BTW My name means "my flower" in Hebrew. 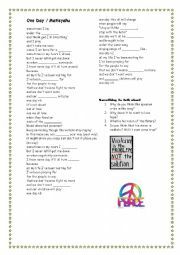 The students have to fill in the missing words while listening to the song. Then they discuss the meaning of the song. 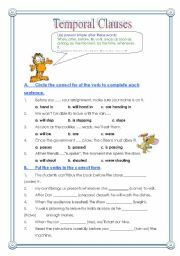 A ws to practice ed/ing adjectives. Key is included. 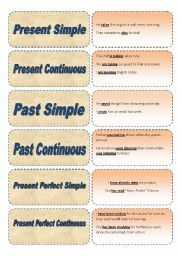 This is a simple boardgame to help students practice the past simple. (V1 - V2) Thanks Jecika for the template! 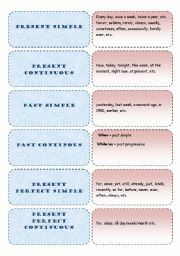 This is a memory game to practice the present continuous. Cut and laminate the cards and let the students play. They have to match the sentence with the picture. 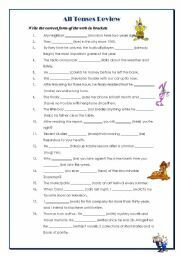 This memory game is meant to review tenses and to help the students remember verb structure. 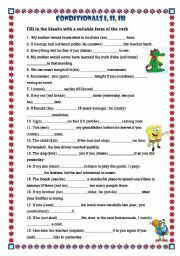 So students match the tenses with the suitable sentences. 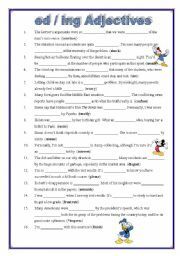 2 memory games in 1 file to review all tenses: In the first one, students have to match the tenses with the suitable time expressions. 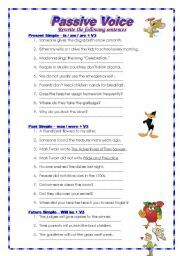 In the second one, students have to match the tenses with the rules. This powerpoint includes questions on a variety of topics to encourage conversation.